The commercial vehicle market hit an all-time high last year with registrations of vans and trucks up almost 17 per cent on 2014 at 423,894 units, according to figures from the Society of Motor Manufacturers and Traders. Renault Trucks has launched range of pre-bodied Luton, tipper and Dropside vehicles built on the Renault Master by Renault Trucks platform. 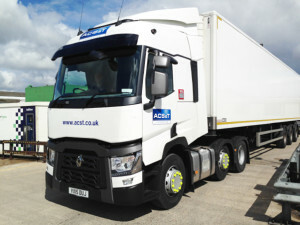 ACS&T has taken delivery of the first of 12 Euro 6 trucks, which are to be acquired over the next operating year. 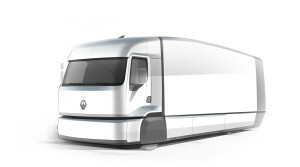 Renault Trucks aims to cut the fuel consumption of distribution vehicles by 13 per cent with the Efficient Distribution Truck (EDIT) project. Truck registrations are 40 per cent up on last year, while van registrations are 17 per cent higher, according to figures for the first seven months from the Society of Motor Manufacturers and Traders. There are now cars, buses, trucks and forklifts using fuel cell technology, but, says Malory Davies, while the technology is developing rapidly, the infrastructure to support it is lagging behind. 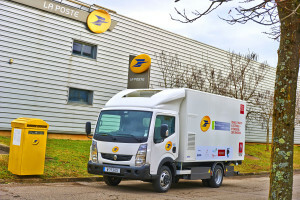 Renault Trucks and La Poste, the French post office, are testing an electric truck equipped with a hydrogen fuel cell that doubles its range to 200 kilometres.